OMG Posters! 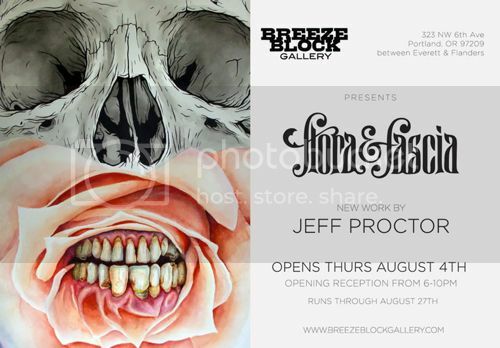 » Archive Jeff Proctor at Portland's Breeze Block Gallery - August 4th - OMG Posters! Jeff Proctor has been hard at work on his next solo show. Opening August 4th at Breeze Block Gallery in Portland, “flora & fascia” will feature new watercolor paintings, drawings, a mural, and more. If you’re in the area, do not miss this one. Get more info on the gallery at BreezeBlockGallery.com. Thinking about going to Portland for this. Definitely gonna be awesome. finally.. something in MY backyard.. I will be there opening night for sure!! Proctor is becoming my favorite artist. Very clean and lifelike.